Happy New Year, SSIT members! 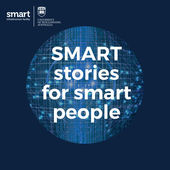 This month’s newsletter introduces the IEEE Technology and Society Magazine’s new Editor-in-Chief, Jeremy Pitt, and also shares exciting announcements about the Norbert Wiener Award for Social and Professional Responsibility and a new podcast available from the University of Wollongong that should be of interest to many of you. As always, if you have a news item, SSIT-related update, volunteer opportunity, Call for Papers, award notice, or idea for a "Feature Article," please contact me at Heather.Love@usd.edu. Submissions for the February 2018 newsletter are due by 20 January 2018. The IEEE Society on Social Implications of Technology announces the selection of Professor Jeremy Pitt, Professor of Intelligent and Self-Organizing Systems at Imperial College, London, U.K., as Editor-in-Chief (EiC) of IEEE Technology and Society Magazine (M-T&S), beginning 1 January 2018. Professor Katina Michael of Wollongong University, Australia, completed her second accomplished three-year term as (M-T&S) EiC in December, 2017. "Our new EiC is internationally recognized, has led European-wide research initiatives, and brings a unique skillset to the (M-T&S) community at large," said Michael. 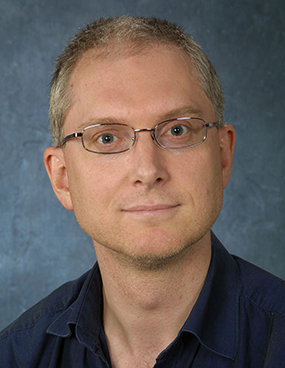 Professor Pitt is Deputy Head of the Intelligent Systems and Networks Group at Imperial College. He has guest edited several special issues and sections of (M-T&S) over the past four years. His research interests focus on developing formal models of social processes using computational logic, and their application in self-organizing multi-agent systems, for example fair and sustainable common-pool resource management in ad hoc and sensor networks. He also has strong interests in human-computer interaction, the design and use of socio-technical systems, and (of course) the social impact of technology. He teaches courses on artificial intelligence and human-computer interaction, and lectures on professional engineering with an emphasis on responsibility for "ethical" design. "Building on the foundations that Katina has established, I'm really looking forward to the opportunities and challenges in taking (M-T&S) forward," said Pitt. "With so many environmental and humanitarian problems facing the planet, I don’t think scientists and technologists can distance themselves from the legal, social and political implications of their discoveries and inventions any longer. As has been often said, technology is neither good nor bad – but it is not neutral either, if only because design is never neutral." "I encourage all readers to engage with Jeremy's seminal contributions over the years," said Michael, "including two of his most recent edited volumes, This Pervasive Day: The Potential and Perils of Pervasive Computing (2012), and The Computer After Me: Awareness and Self-awareness in Autonomic Systems (2014)," published by Imperial College Press. "Jeremy's interdisciplinary research in the area of social justice and computing is by far among the most important discussions we have to have," she continued, "as we embark on implementations of AI and robotics towards collective awareness." Professor Pitt can be reached at j.pitt@imperial.ac.uk. 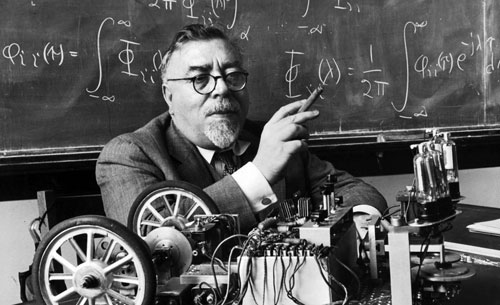 At their recent meeting, the IEEE Technical Activities Board (TAB) approved SSIT's proposal to manage the Norbert Wiener Award for Social and Professional Responsibility. The award is named for Norbert Wiener (1894-1964), who, in addition to a long and active scientific career, was a leader in assessing the social implications of new and emerging technology. Previously managed by Computer Professionals for Social Responsibility until that organization disbanded in 2013, this award serves as a reminder of what Wiener stood for and of what each individual can do to make the world a better place. The award is given to recognize an exceptional contribution by an individual or team in the field of the social implications of technology. The contribution may be based on scholarly or educational contexts, or on activities that enhance the welfare of society and involve engineering, science, or our broader understanding of interactions between technology and society. Candidates need not be members of IEEE. A list of past recipients of the award is available on Wikipedia. The podcasts have been produced by award-winning audio journalist, William Verity, over a period of more than six months. Listen on Apple Podcasts or SoundCloud now! Held in conjunction with 2018 IEEE International Solid State Circuits Conference (ISSCC), The Workshop on Circuits for Social Good highlights various ways that circuits can help address some of the most important challenges facing society today, ranging from health care to energy conservation. The program aims to give a broad perspective of how one can have impact. It begins with several keynotes and invited talks from industry, academia and startups followed by interactive round-table discussions on topics including machine learning, medical devices, next generation communications, security and Internet of Things (IoT), as well as discussions on career paths in research, product development, and entrepreneurship. The 9th International Conference on Ethics in Biology, Engineering, and Medicine will be held at the Florida International University (FIU) in Miami, FL, USA, 14-15 April 2018. This conference has been endorsed and technically co-sponsored by IEEE/SSIT and many other professional societies and institutions. More information about the conference can be obtained from the website. Supported by the European Commission and African Union Commission, IST-Africa 2018 is the 13th in an annual series of Ministerial level Technology Research, Innovation and Sustainable Development Conferences. The host country will be published during December after Cabinet approval has been finalized. IST-Africa provides a platform in Africa to strengthen ICT-enabled Innovation, Science and Technology related policy dialogues within Africa and between Africa, Europe and the rest of the world, as well as Sustainable Development, Research and Innovation Cooperation and Community Building. It also provides an opportunity to identify potential partners for future research and innovation cooperation under Horizon 2020. IST-Africa is a unique community that brings together cross-disciplinary stakeholders from public, private, education and research, and societal sectors with end user communities focused on ICT and STI Research and Innovation. The IST-Africa 2018 Call for Papers invites full papers (eight pages in length) using the paper guidelines and IST-Africa template to be submitted online for review by 15 January. All papers are double blind peer reviewed. Each presenter can present one paper in the Programme. Full Papers accepted for the Conference Proceedings and presented during the conference will be submitted for publication to IEEE Xplore as an additional dissemination channel. Thematic areas include: eHealth/mHealth; Technology-enhanced Learning; eAgriculture/mAgriculture; eInfrastructures and NRENs; Energy; Next Generation Computing (Big data, Cloud computing, Future Internet, Internet of Things); eGovernment; Content Technologies (Languages, Digital Preservation); Cyber Security; Collaborative Open Innovation and ICT-enabled Entrepreneurship; Sustainable Development including ICT4D and Societal Implications of Technology. Download the call for papers for more information. The Sixth Annual Conference on Governance of Emerging Technologies and Science: Law, Policy and Ethics is accepting submission of abstracts for proposed presentations. GETS is premised on the belief that there is much to be learned and shared from and across the governance experience for various emerging technologies. The conference will be held at the Sandra Day O'Connor College of Law in Arizona State University. It consists of plenary and session presentations and discussions on regulatory, governance, legal, policy, social and ethical aspects of emerging technologies, including (but not limited to): nanotechnology, synthetic biology, gene editing, biotechnology, genomics, personalized medicine, digital health, human enhancement technologies, blockchain, cryptocurrencies, data analytics, telecommunications, information technologies, surveillance technologies, technology and privacy, cybersecurity, geoengineering, neuroscience, military technologies, artificial intelligence, algorithms, autonomous cars, and robotics. The co-sponsors invite submission of abstracts for proposed presentations. Although abstracts are invited for any aspect or topic relating to the governance of emerging technologies (including any of the technologies listed above), we particularly encourage abstracts relating to this year’s two priority themes Internet of Things, and Success Stories in Public Engagement, International Coordination, or Soft Law. Please submit your abstract (maximum 500 words; must contain your name and email address) by 31 January 2018. Submitters of abstracts need not provide a written paper, although provision will be made for posting and possible post-conference publication of papers for those who are interested. Note: the sponsors will pay for the conference registration including all conference meals and events for one presenter for each accepted abstract. In addition, we will have limited funds available for travel subsidies (the application is included in submission form). The SPSP conference will be held at the University of Ghent and provides a broad forum for scholars committed to making detailed and systematic studies of scientific practices - neither dismissing concerns about truth and rationality, nor ignoring contextual and pragmatic factors. The conference aims at cutting through traditional disciplinary barriers and developing novel approaches. We welcome contributions from not only philosophers of science, but also philosophers working in epistemology and ethics, as well as the philosophy of engineering, technology, medicine, agriculture, and other practical fields. Additionally, we welcome contributions from historians and sociologists of science, pure and applied scientists, and any others with an interest in philosophical questions regarding scientific practice. For details regarding proposal guidelines please visit the event webpage. An online submission site for paper or session proposals will be available later this fall. In addition, stay tuned for forthcoming details about a graduate student workshop, a smaller topical workshop before and after the conference, and a poster presentation session. The IEEE Society on Social Implications of Technology has partnered with the IEEE Life Members Committee (LMC) to publish accounts of Society members' experiences grappling with ethical dilemmas in professional contexts. If you have an experience that involved navigating an ethical dilemma, consider sharing it with your colleagues through the SSIT or LMC newsletters. A joint SSIT/LMC committee will vet all initial submissions, and authors will work with the editors of the two publications to finalize their submissions. Accepted Ethical Dilemma articles will be published simultaneously in the June and December issues of both newsletters. Article submissions must be between 300 and 500 words in Word format. The IEEE Legal Department requires that all articles be fully sanitized to protect the privacy of people and organizations. 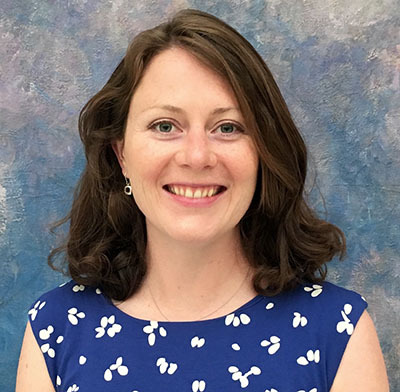 Submit manuscripts to Stacey Waters, IEEE Project Manager, at s.waters@ieee.org.